Can your pet give you an antibiotic-resistant disease? Massey University veterinary public health specialist Professor Nigel French has been granted $1,126,725 for the three-year project from the $78m in funding announced today by New Zealand’s Health Research Council. He says there is concern about an increase in the incidence of two particular types of antibiotic resistant bacteria in New Zealand that commonly cause urinary tract infections. “It underlines what most people already know – you shouldn’t let your dog lick your face. If the dog licks your hands you should wash your hands afterwards. It’s basically hand-hygiene and avoiding too intimate contact with your pet,” Professor French says. Professor French says the study is particularly important because of New Zealanders’ affection for pets. A 2011 study by the New Zealand Companion Animal Council has estimated that Kiwis have the highest pet ownership in the world per capita, with 68 per cent of households owning an animal companion. Almost half of those own an average of two cats and a third of all households own a dog. There were 1.4 million household cats and 700,000 dogs in 2011. Professor French is the principal investigator and will be joined by his colleagues, Professor in Mathematical Biology Mick Roberts and Professor of Public Health Jeroen Douwes and Jackie Benschop at the Infectious Disease Research Centre. The project is collaboration with Otago University (Professor Michael Baker), ESR Ltd (Dr Deborah Williamson and Dr Phil Carter), the Ministry for Primary Industries (Dr Eve Pleydell) and Labtests NZ in Auckland (Dr Dragana Drinkovic). Dr Elena Harjes was awarded an Emerging Research Grant of $150,00 for a two-year study into a new approach to fighting breast cancer that involves screening for APOBEC3N inhibitors. Professor Sally Casswell was awarded $1,191,469 for a three-year study into how alcohol consumption in New Zealand has been affected by changes in legislation regulating the sale and supply of alcohol. 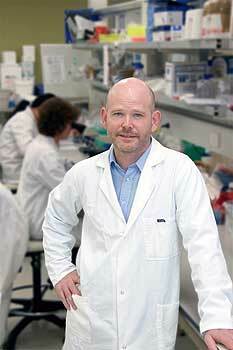 Professor Jeroen Douwes has been granted $1,199,966 for a three-year study into non-inflammatory mechanisms in asthma.